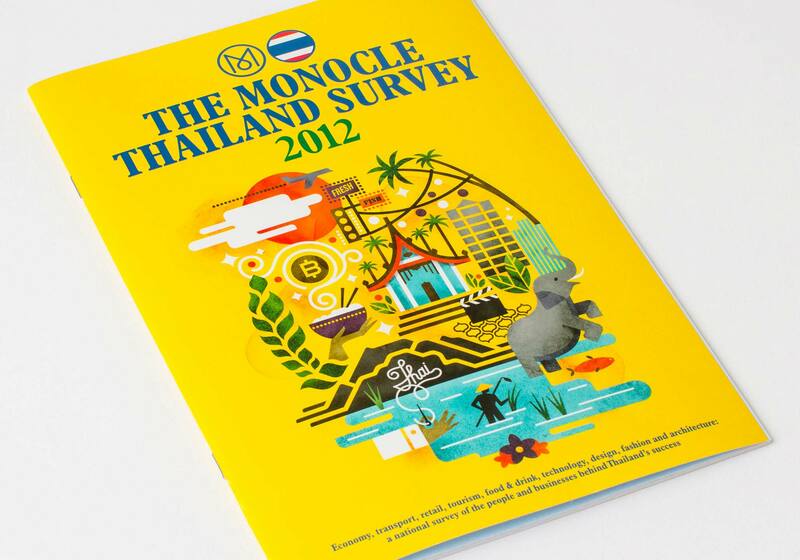 Each year, Monocle features a country and does an in-depth cultural survey. 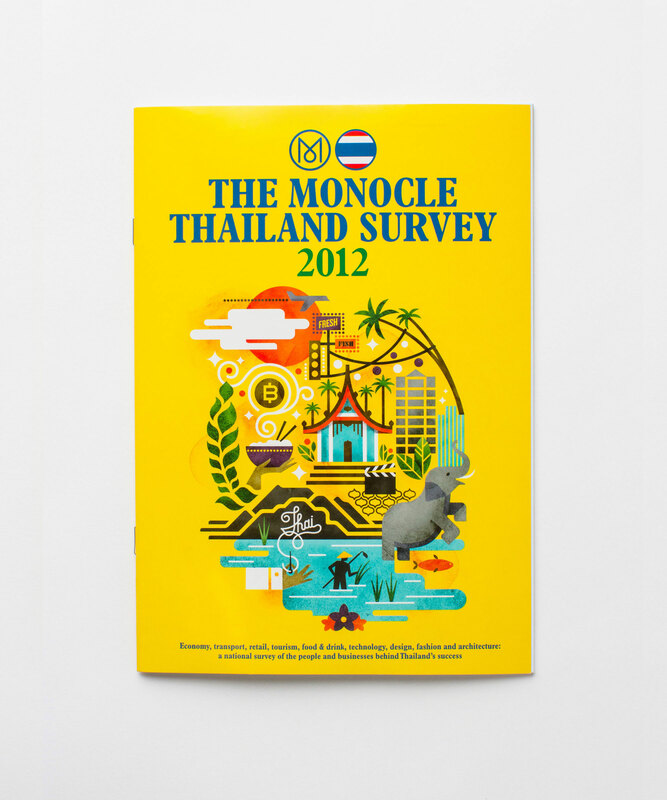 I was asked to illustrate their 2012 Thailand survey. Some previous covers had featured this circular motif, and it seemed conceptually fitting to bring it back. 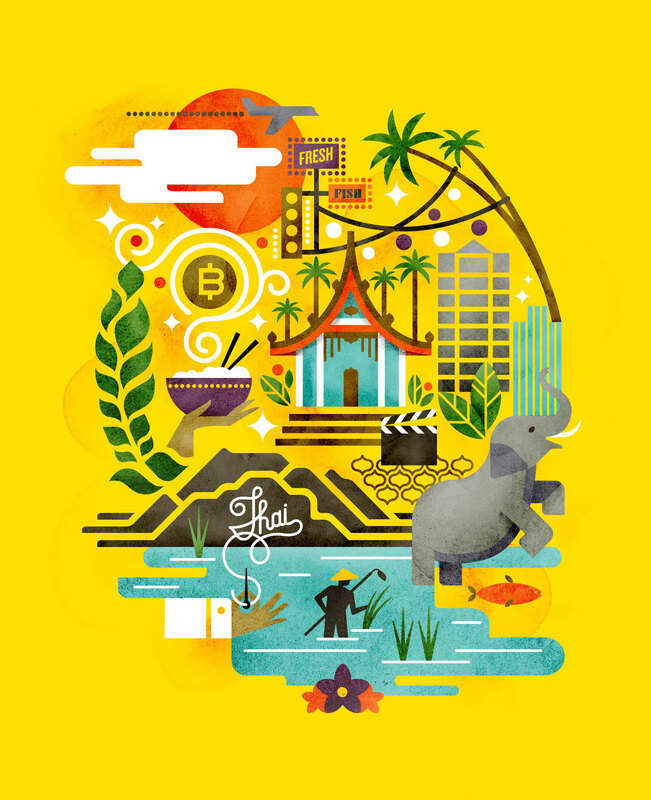 The goal was to emphasize the interdependent relationships of the various industries within the country.